Home improvements that will add value to your home. Summer is one of the best times to start working on your home improvement projects. Especially when they are connected to the outdoor entertainment space or the space that is in between. Patio or screened porch- great for adding value and you get to enjoy them as well. Landscaping trees and perennials- another great way to increase the value to your home while uplifting your curb appeal. 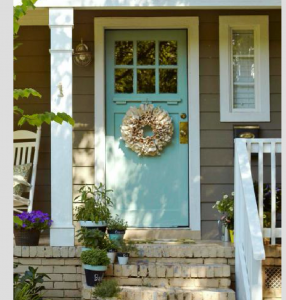 Consider an upgrade to your main entrance- Nice way to offer a warm welcome. Beat the winter rush for energy efficient windows- improve the overall energy efficiency of your home for both the cooler and warmer months. Warmer weather with more stable temperatures result in faster installations- good time to consider any roof work. These are just a few ideas for summer projects to consider. What is on your list?